Wouldn’t it be great to carry a power outlet with you everywhere so you never had to worry about finding an outlet to charge your phone or laptop? 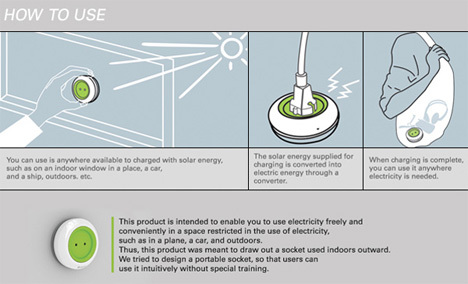 The Window Socket concept would do that, and as an added bonus the power it provides would be clean, green solar energy. 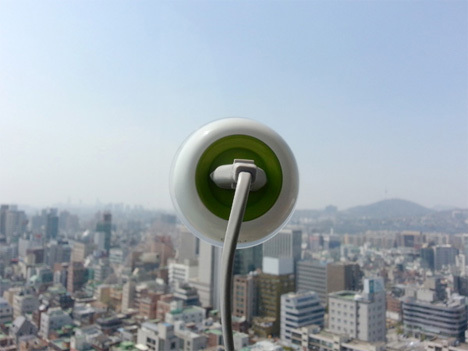 The simple concept involves a little circular gadget that you would stick to any window through which the sun is shining. 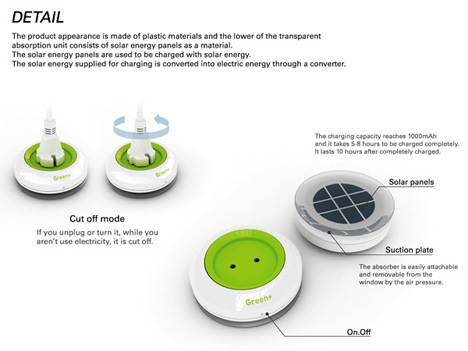 The solar energy would be collected and converted into electric energy within the little gadget. You simply plug a device into the socket and it receives the newly-obtained electricity. An integrated battery is charged after 5 to 8 hours on a window. The charge holds for approximately ten hours after it’s completely charged, so you can remove it from the window, stick it in your bag and take portable electricity with you anywhere. 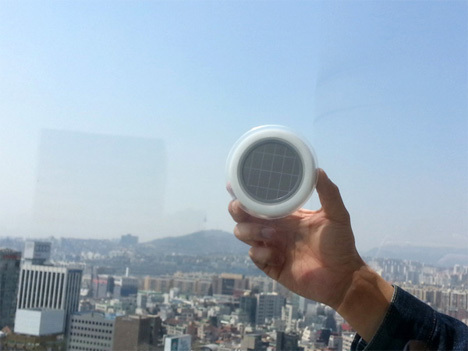 Although we appreciate the idea behind this unique solar power provider, it seems less than possible with currently-available technology. Converters to turn solar power into electricity are too large to fit into a device this size – though maybe at some point in the future they’ll shrink enough to make awesome portable energy possible. See more in Unbuilt Concepts or under Technology. May, 2013.